CB Insights, the New York-based smart portal, has named Raisin as a member of Fintech 250, a small group of new private companies developing innovative financial technologies. CB Insights CEO and co-founder Anand Sanwal revealed Fintech 250 companies at the « Future of Fintech » conference, a gathering of the world’s leading financial institutions, the best start-ups in the fintech world and most active investors. The CB Insights research team selected Fintech 250 members based on a number of factors, including data submitted by companies and the company’s « Mosaic score ». This score is based on the CB Insights National Science Foundation algorithm, which measures the overall balance and growth potential of private companies. With this statistical-based approach, the Mosaic score can help predict the company’s momentum, market position, and financial viability. – These 250 emerging private companies raised $ 14 billion in 240 transactions in 2016. – Their technologies include major advances in insurance, loans, payments, human resources, real estate and much more. Moreover. – More than 2,000 companies have been nominated or are applying for Fintech 250 (only 8% have been selected). 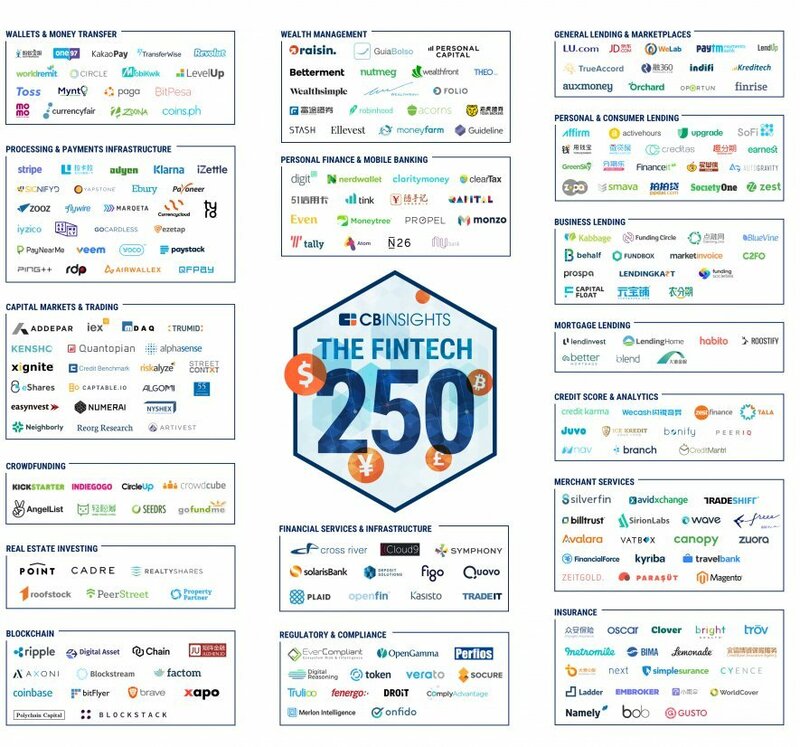 – Ribbit Capital participates in 17 companies named Fintech 250, while Andreesen Horowitz and Goldman Sachs have supported only 9 of them. – Twenty-three Fintech 250 reached an assessment of $ 1 billion or more. – 23 countries are represented among Fintech 250 companies.